London based Wedding Photographer, also working frequently in East Sussex, The Midlands, and Iceland. To keep things as simple as possible I offer one basic package with the option to add on Extra Prints, Albums, a Second Photographer, and a Couple Shoot if you wish. I understand that there’s already so much to think about when it comes to planning a wedding, so I do my very best to make booking your photographer nice and easy. Prices include travel costs for England and Wales. For information on Destination Weddings please get in touch for a custom quote. A pre-wedding meeting or call with me to have a chat about your wedding plans, and a chance to get to know each other a little better. Coverage on your wedding day from Bride/Groom Preparation right up until the celebrations are in full swing after your First Dance. No less than 450 professionally edited images, with rights to print and distribute. A USB stick containing your edited images, in a wooden presentation box, with 50 6x4" prints from your wedding day. Online private gallery containing all of your edited images for you to download extra copies and order additional prints. £300: Couple Photo Shoot lasting approximately 2 hours. Around 75 images supplied in a private online gallery, with rights to print and distribute. £300: Second Photographer for your wedding day to offer an additional perspective, and a larger collection of pictures. £350: Starting price for a 10x10" Album with 30 fine art quality pages. £125: A 6x6” Parent Album with 30 fine art quality pages. Same design used as your main album. The prices of albums can vary based on your choice of cover material, cover customisation, and additional pages if you require them. You will have plenty of chance to review all of the different options before placing your order. See below for more information about my albums. There’s not much that beats the feeling of seeing your images in print, and it’s something we often forget in a world ruled by screens. 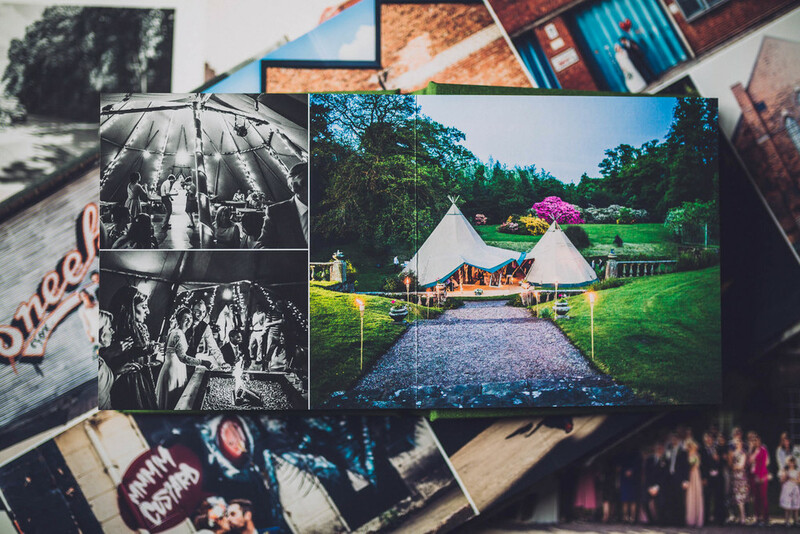 Everyone loves the convenience of digital images, but having your wedding photographs stored on a hard drive isn’t going to be a great keepsake from your special day. 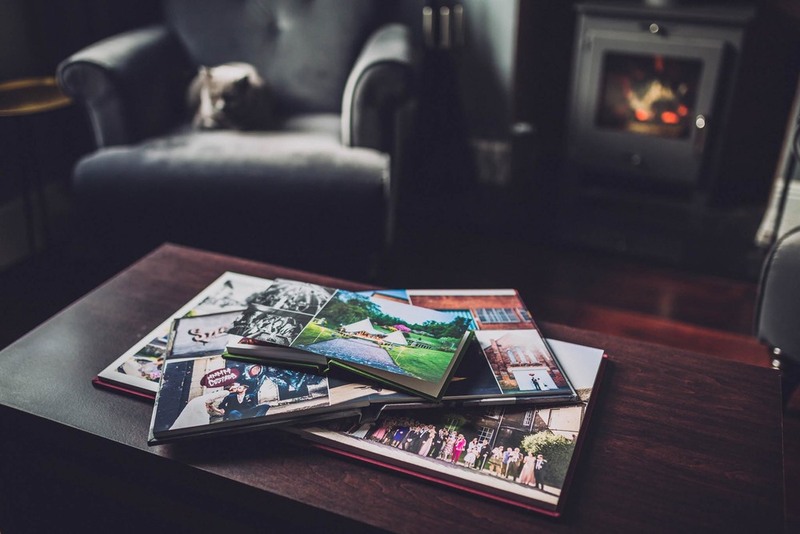 High quality albums are now becoming popular again though, and although it is an added extra I would always recommend getting at least some of your photographs in print. It’s a really wonderful way to display the memories from your wedding day, and is the perfect way to share your pictures with friends and family. My current album selection is from a fantastic British company called Folio Albums. 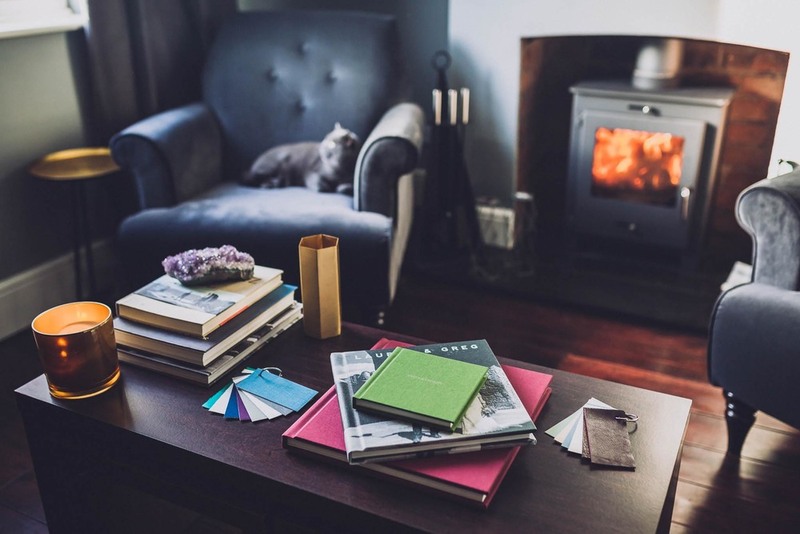 They pride themselves on extremely high quality books, and run an ethical and environmentally friendly business. All albums arrive securely boxed and are wrapped in a protective cotton bag. They also come with a note giving you plenty of information about how to look after your album and make sure it lasts a lifetime. The three albums you can see in the below images are different varieties that I have put together for my samples. 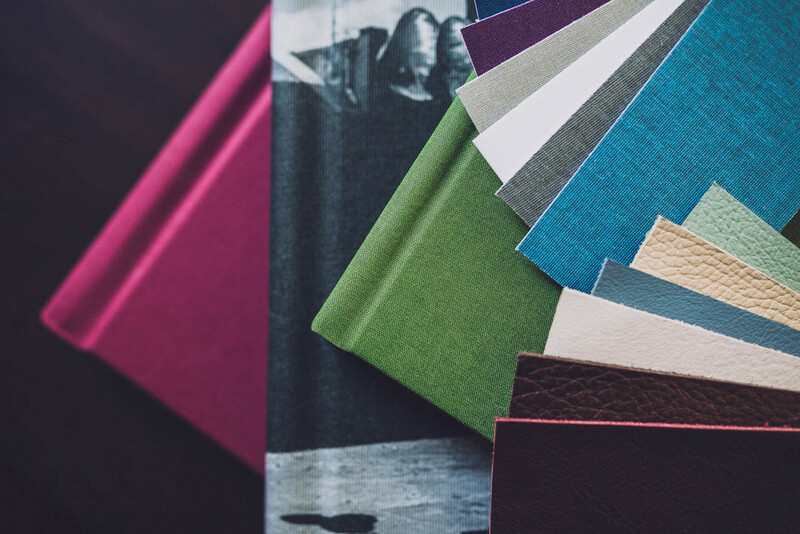 Folio Albums offer a huge amount of options though, so you would be welcome to choose different paper types, cover types, and more pages if you require. These will alter the final cost of your album, but you will have chance to confirm this before your order is placed. 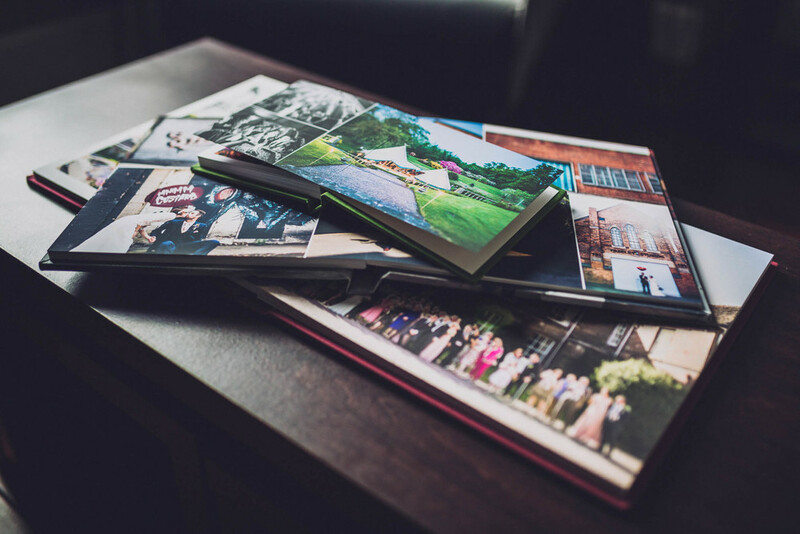 The prices start at £350 for a 10x10" album with 30 pages, however you can upgrade to more pages at a relatively small additional cost, and you are welcome switch to a 12x12" with 30 pages instead for £425. Upgrading your cover customisation to laser engraving, silver foiling, embossing, or 22 carat gold printing is also available at a small extra cost. I usually recommend around 2-3 images per page to keep the album flowing well, so around 75 images fit nicely in 30 pages. Will Fuller is a London Wedding Photographer, also covering East Sussex, the Midlands, Iceland, and any other location on request.